Five of the ferries will be built in Norway. All seven will have zero and low-emission technology. But who are Fjord1? 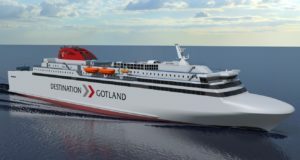 Norwegian shipping company Fjord1 has signed two contracts to build seven new ferries with zero and low-emission technology. 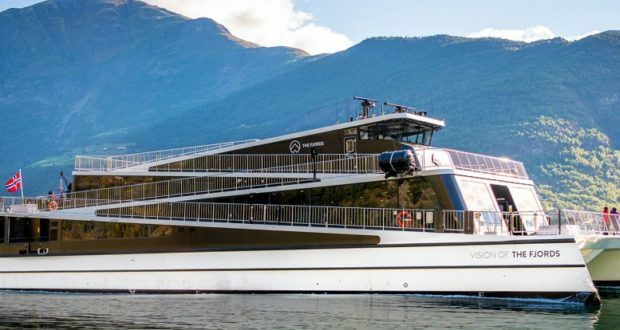 The company, which is headquartered in the town of Florø, north of Bergen, says that all of the ferries will break new ground in terms of innovation and the environment, operating with technology based on electric propulsion. Five of the ferries will be built by the shipyard Havyard Ship Technology, based in Fosnavåg, just to the north of Florø, and the other two will be delivered by Cemre Shipyard in Turkey. 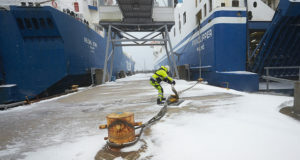 The five vessels to be delivered by Havyard will have capacity for 50 cars and will sail the ferry connections Kvanne-Rykkjem and Edøya-Sandvika on the Nordmørspakken routes, which Fjord1 recently won the rights to operate between 2020 and 2030, and Fedje-Sevrøy and Langevåg-Buavåg on Rutepakke 1 in Hordaland. 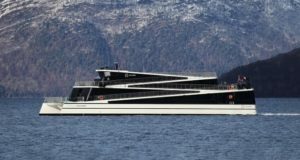 The two Turkish-made ferries, with capacity for 80 cars, will be incorporated into the Seivika-Tømmervåg ferry service on road 680 across the Talgsjø channel in the Nordmøre district of the Norwegian county of Møre og Romsdal. Fjord1 is one of the biggest companies in Norway’s transport sector and is reported to have 75 ships, 394 buses and 147 trucks. 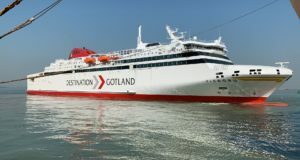 Its main assets are the two ferry companies MRF and Fylkesbaatane, which sail the rough and numerous fjords of Møre og Romsdal and Sogn og Fjordane. In addition, the company owns four local bus companies, including Fjord1 Buss Møre, Fjord1 Sogn Billag, Hallingdal Billag and Fjord1 Nordfjord-Ottadalen. 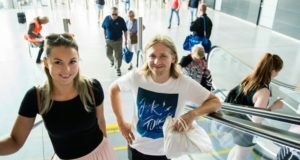 It is involved in numerous other transport ventures too, including large stakes in the bus firm Aukra Auto, the fast-ferry company Kystekspressen and Fjord1 Partner, which operates the Bergen Light Rail. 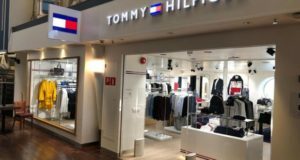 It is also part of the conglomerate that took control of the increasingly significant regional airline Widerøe from SAS in 2013. All seven ferries will be delivered in autumn 2019. Besides Havyard and Cemre, Fjord1 has made delivery agreements with Fjellstrand in Nesodden as well as Turkey’s Tersan Shipyard and Sefine Shipyard. Fjord1’s chief executive Dagfinn Neteland says he is pleased the company has signed a number of ship contracts with Norwegian suppliers in recent months.